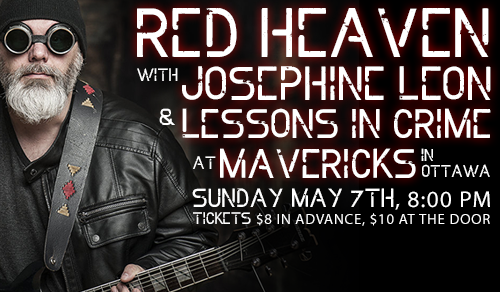 Red Heaven returns to the stage with the amazingly soulful Firebelly and the savagely funky Milk Jive. Doors open at 7PM at the Brass Monkey this Sunday, June 18, and here’s the map to get you there. Wanna know more? Check out our Facebook event listing. Here’s a tip: If you click “going” on the Facebook event page, you’ll be automatically entered to win free admission. We’re gonna let one random “going” music fan in free of charge along with their plus one. And it could easily be you. Tickets are $10 in advance, $15 at the door. This one’s gonna be a night to remember, folks. 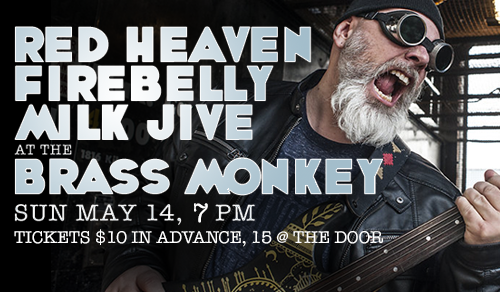 And The Brass Monkey on May 14.